Buying products from Conceiva is 100% safe and secure. You can order with confidence. Purchase our software today and you can download it and use it instantly! We are so confident in our products that we offer a 30-day money back guarantee if you are not satisfied! Don't like using the internet to buy products? Click here to learn how to order our products by phone or by fax. Have a question about purchasing our products? Email our Sales Team at sales@conceiva.com. All major credit cards are accepted - you can even buy our products using PayPal! The COMPLETE home entertainment solution. 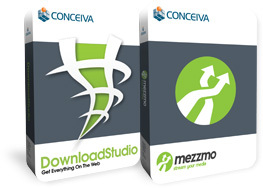 Get Mezzmo Pro and DownloadStudio - save $15.00! Mezzmo Pro and DownloadStudio are "must-have" tools if you like watching and listening to the latest music, TV shows and movies on the web. 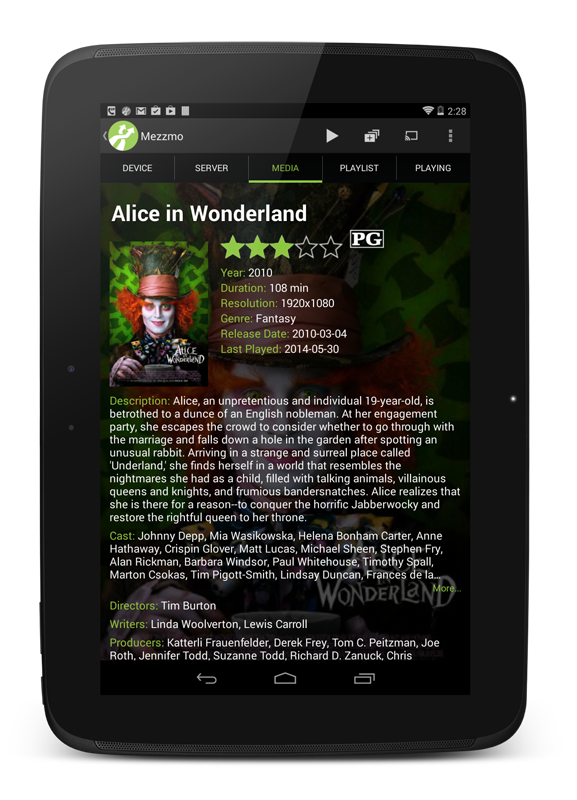 Use DownloadStudio to download all your favorite movies, TV shows, movies, music and photos. Use Mezzmo Pro to automatically stream all your downloaded files to the DLNA devices in your home or outside your home. This is the ultimate media streaming solution for your home! The fastest download manager on the planet that downloads video, movies, TV shows, music, programs, games, flash, photos, web sites, RSS feeds, podcasts, blogs and more! Accelerate downloads up to 500%. Resume broken downloads. Capture streaming audio and video. Schedule downloads for off-peak periods. Works with latest versions of all popular web browsers - Google Chrome, Firefox and Internet Explorer. Mezzmo Pro is the most feature-packed and flexible media server available today. Advanced features let you stream movies, TV shows, home movies, music, photos and subtitles to all the UPnP and DLNA-enabled devices in your home or stream to web browsers outside your home. On-the-fly transcoding. Multiple device support. Powerful organizing features. Extensive media format support. Mezzmo (Android) app is purchased from Google Play and Amazon App Store. Installed on your tablet, smartphone, Android TV or Amazon Fire TV, Mezzmo Android lets you browse your Mezzmo library, select a device in your home to stream to and then push selected files to play immediately on your selected device. Or, play all your files with Mezzmo (Android)'s builtin video and music players and photo viewer. You get full playback and playlist control. Supports all popular devices including TVs, Blu-ray players, games consoles, media players and Google Chromecast. Full metadata display. Built-in media server for streaming video, music and photos stored on your Android device.